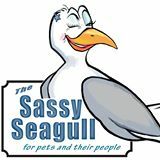 The Sassy Seagull will be soaring during Alive After Five on Friday, August 19th! They will have red and white wines and appetizers, along with a side of smiles and fun! Come on down to Old Town Bandon from 5 to 7:30 PM.